Running for your life has never been this fun and exciting. Games.lol brings a deluge of free running man games for kids and adults alike. 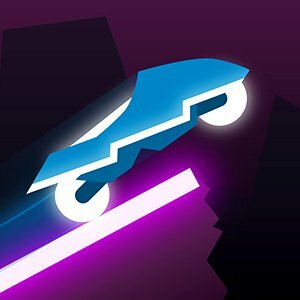 You jump, slide, rush, and run over a number of obstacles. 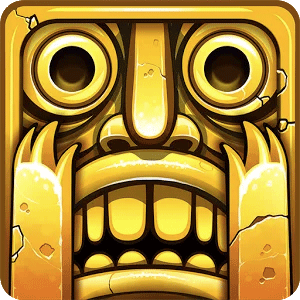 Download our free maze running games now! Do you have fleet feet? Because if you do, then know that it is actually great! If it is not that case, do not worry. These free and fun running games are meant to be enjoyed, anyway. As soon as you start playing these stickman running games for kids and adults alike, you will feel the ferociousness and speed of a cheetah. It’s the ultimate test of your concentration and timing! Try out these running games today! In case you did not know, we offer dozens of free track running games. From ninja running games to endless running games, all of these come with no price. For instance, you can surf through subways and experience what the rush is like with Subway Surfers. If you are into parkour and you want to see how free running works, you will never be disappointed with Vector. Or perhaps you want to storm the city with a couple of zombies, then Zombie Tsunami is perfect for you! In fact, even if you are into Adventure Games, you will find this section quite satisfactory. Whether you are looking into bull running games or you are more inclined to maze running games, our running games will keep the adrenaline rushing. So, what are you waiting for? Download these free action-packed running games now on PC or Mac now! If you love to run, you are just like Jake. Join this troublemaker in his adventures as he sprints away from the Grumpy Inspector. Despite his rebellious and cheeky nature, Jake is definitely someone that you can have a lot of fun with. You will be able to unlock more characters along the way in this unblocked endless running game! In Subway Surfers, the goal of this fun running game is to dash along a never-ending railway track while collecting rewards like coins and keys. You have to make sure that your character is always a step ahead of the Grumpy Inspector who is hot on your heels! The challenging part of the game is to dodge the obstacles that may appear along your way. These obstacles may come in the form of bollards and trains so you have to steer your character like a ninja to avoid them. Test your reaction in this fast-paced running game for kids and adults, and make sure you are swift enough to steer clear of the obstacles or duck the train that is approaching you. Some of the obstacles are strategically placed in the game so you will have very little time to react. As you progress in the game, you can unlock other power-ups to help you in this popular arcade game! Zombie Tsunami is one of our top picks for unblocked running games. Be sure to get hooked onto this addictive arcade game that shows us what a true running game is all about. Created by Mobigame S.A.R.L., Zombie Tsunami is a game that comes with lots of thrill adventures, excitement, and even destruction. Your goal is to gather the largest army of brain-eating zombies to win! The premise of the game is pretty straightforward. As soon as you start playing, you must start running. In each stage, be prepared to attack the people that are shouting “HELP” in order to earn a “brain”. The “brain” will then turn into a zombie and join your running crew and expand your zombie hoard! So, keep eating and grow your army of zombies! Traps and vehicles, among many others, will appear and hinder with your attack. You will have to strategize and stay away from them and focus on eating as many people as you can! Customize your zombies with various accessories as you progress in the game. Create your own unique zombie gang while you keep running and eating brains in this exciting zombie running game! Are you a parkour enthusiast? Or perhaps you have been meaning to try this fun-filled practice? Well, worry no more – you can try parkour virtually! And yes, this is thanks to this game called Vector. If you are a huge fan of side-scroller games – and you absolutely love parkour – then there is no doubt that you will fall in love with this title. This unblocked ninja running game basically introduces you a “Big Brother” type of vibe, but you will soon start to rebel. 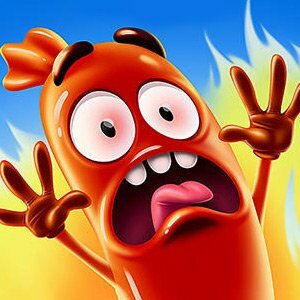 From there, you will begin to run and feel the excitement that this side-scrolling title offers. You just simply need to use the move your cursor to jump, slide, and perform tricks. Doing any of these will allow you to jump over obstacles and avoid collisions with the bad guys. As long as you are successful, you will start to earn bonus points. Mind you, all your parkour dreams will be met here. You can go for some rolls, backflips, and other parkour tricks that you can ever imagine. The game comes with an integration of power-ups and a coin system, which you can use to do awesome tricks and stunts. Coins, in particular, allow you to purchase tricks in order to complete different levels for a better collection of stars or points. 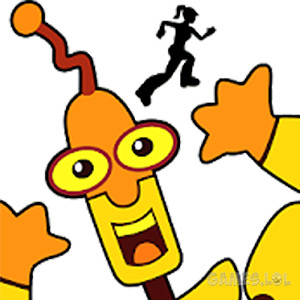 It is time to start running with our fun Running Games! Check out any of the games below and sprint away!